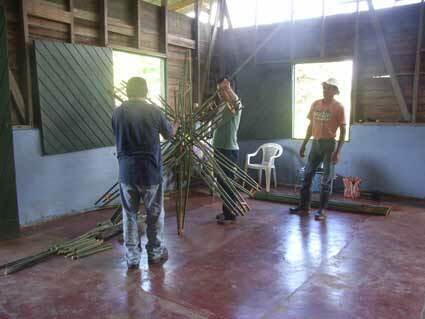 Around 80 slender bamboo poles were supplied by Mr. Steven Bell. 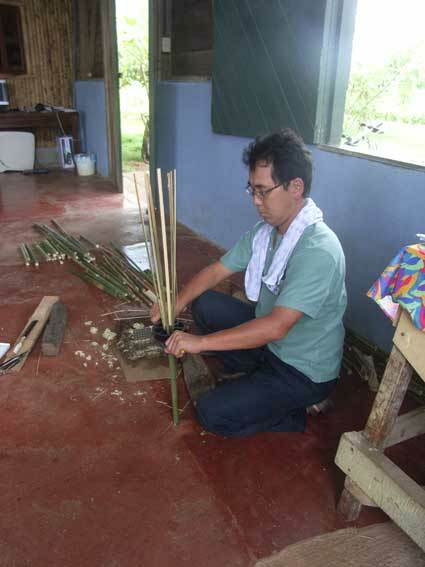 Mr. Concepcion took node of bamboo carefully, I cut them exact length. 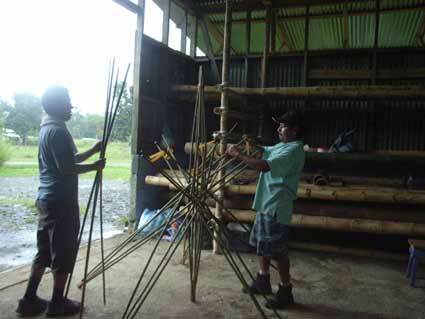 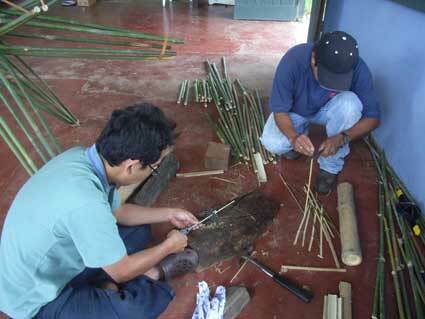 In Costa Rica, it is not easy to get bamboo rod. 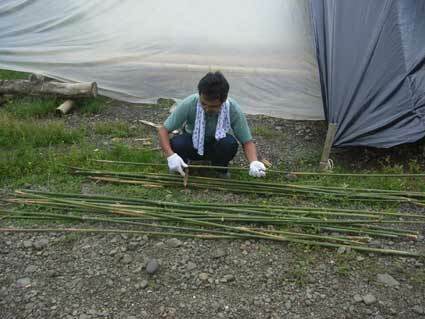 I demonstrated how to make any size bamboo rod at will. 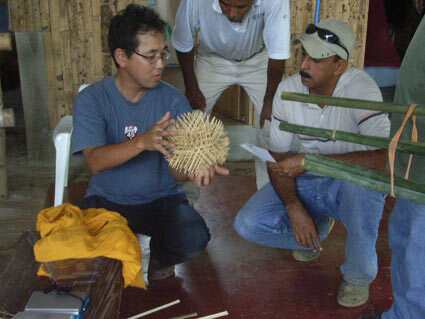 I brought a special tool to make bamboo rod. 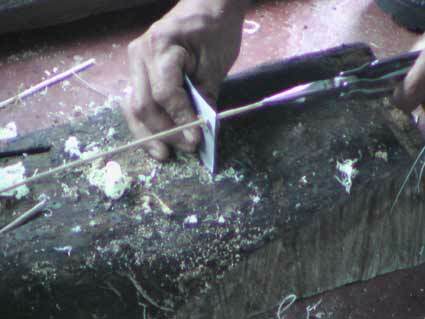 It worked well, but took long time. 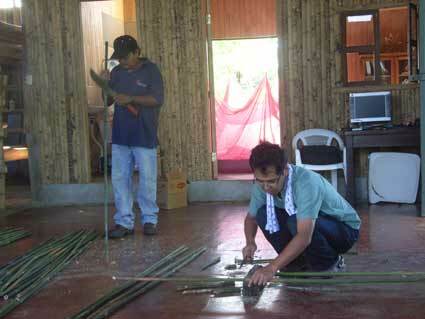 On 21st of August, I gave daily Starcage workshop for Mr. Concepcion. 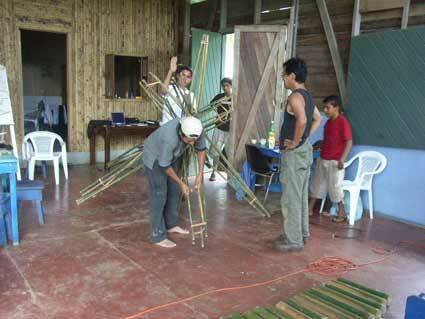 I did it before or after daily work of the Girasol Torre. 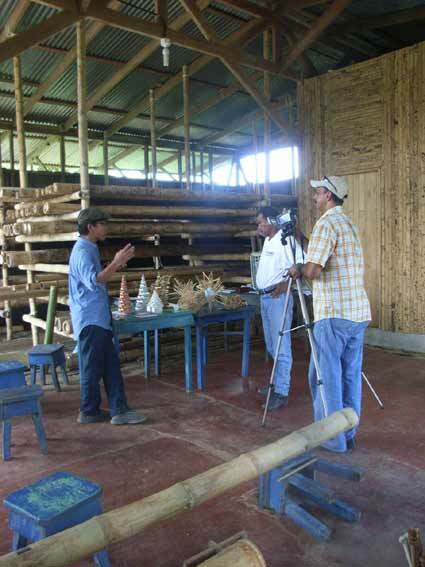 24th of August, a local TV interviewed me. 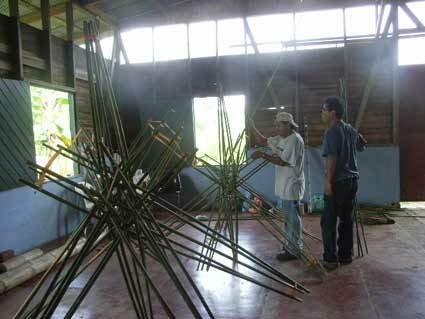 On 10th of September, the local TV recorded our activities.